On my first, long-ago trip, two weeks before 9/11, I left my belongings in an airport locker — airport lockers, remember them? — for the day and took Detroit's infamously slow two-bus, 2-hour transit ride from the airport to downtown. The city was still in its nadir, which it is slowly escaping. 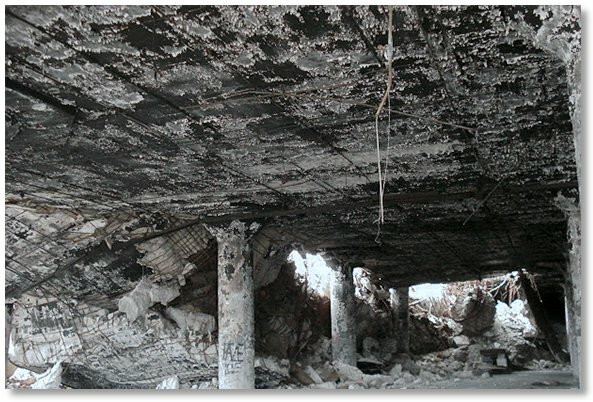 I did have one "stereotypical Detroit" site to check out — the Packard plant, built in 1903. It folded in 1956 or 1958, depending on what source you read. It has become 3.5 million square feet of sprawling, awe-inspiring rubble. The architect was Albert Kahn, who designed a similar mega-plant that Ford still operates, the Fisher Building downtown, and some other edifices. 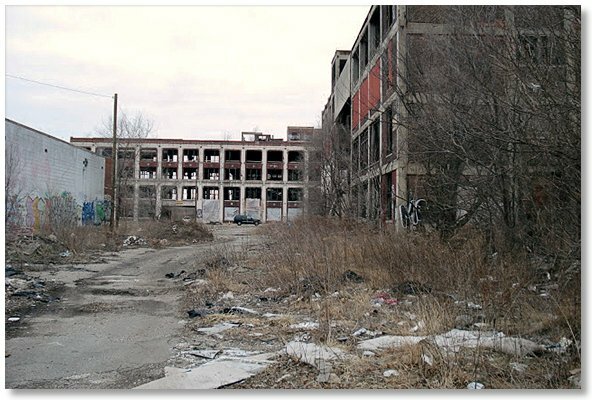 The Packard plant decays about 5 miles from downtown, so a car would be handy in reaching it. Detroit, though, is not simply a metropolitan ruin. Before I headed for Packard, I attended half of a not-my-type concert at the Orchestra Hall (built in 1919), mainly to eyeball the interior, and spent a couple of hours at the Institute of Art, which came close to being plundered to meet Detroit's debts before a judge cobbled together a bailout package in 2014. First, on a morning jog, I took a quick look at the now-heavily secured train depot. It has a prison-grade barbed-wire fence now. You'd need a pole vault to go over it. 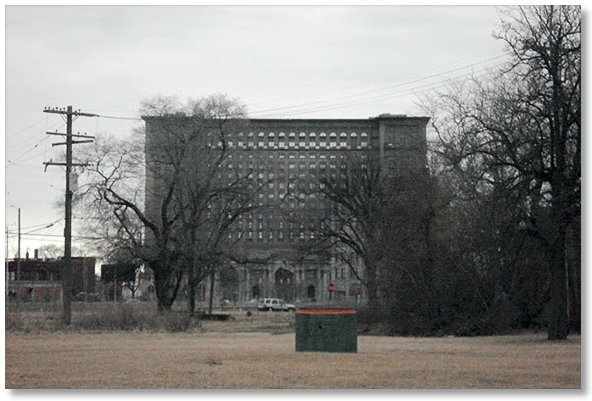 Finally, I pointed the rental car — so much faster than a freight train — toward the Packard plant at 5305 E. Concord St. This is what it looked like in its heyday, a picture I stole from the Web. I was not taking aerial photos in the 1930s. 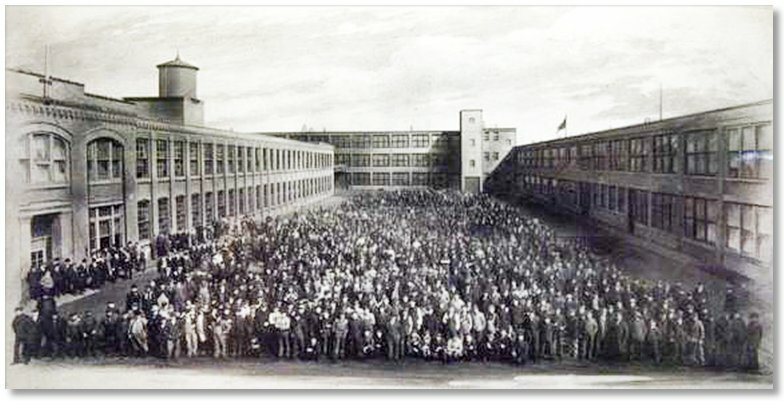 And these are the plant's workers in 1915, who could not have foreseen what would come to be a century later. Decades of decay and looting made the 40-acre property an affordable fixer-upper, at least in terms of purchase price. In 2013, a developer from Peru bought it all for $405,000, 12 cents a square foot. 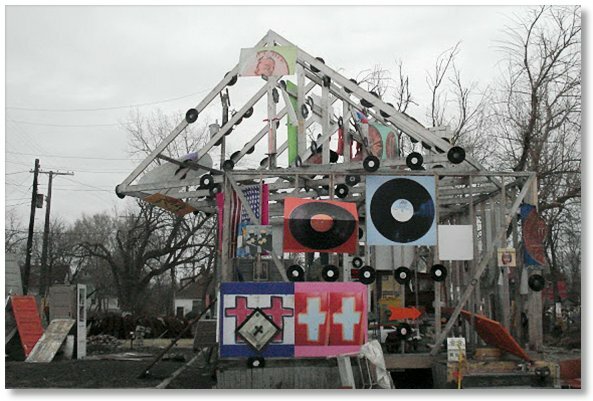 He wants to revive it as a "commercial, art and residential magnet", according to Bloomberg, but that idea seems unlikely to work out in a site like that in a city like that. The last I heard, he was expecting the project to cost $350 million. 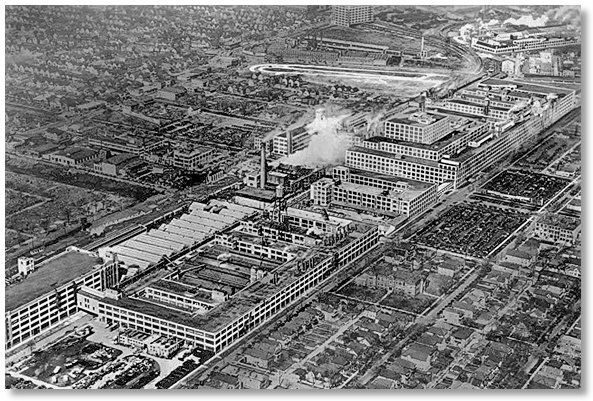 One surviving company's fortunes give an idea of the industrial depopulation Detroit has suffered. GM's US payroll peaked at 618,365 employees in 1979. Its worldwide payroll now is 215,000 employees.